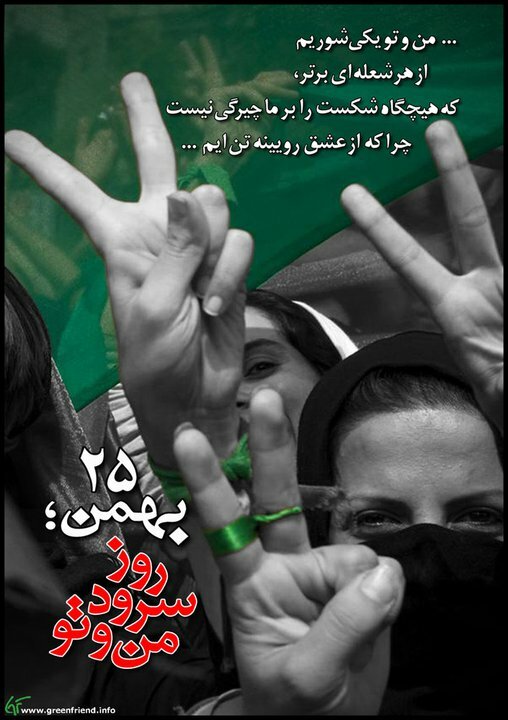 Oktober | 2012 | FREE IRAN NOW! A military strike on Iran and neutralizing its nuclear threat would benefit the Arab states in the Middle East and ease tension throughout the region, Prime Minister Binyamin Netanyahu said in an interview published Tuesday in the French Magazine Paris Match. Da hatte das EU-Parlament (sorry, fünf Euro fürs Phrasenschwein) mehr Glück als Verstand: Denn von übermäßigem Verstand hätte es nicht gezeugt, wären zwei Wochen nach der Verschärfung der EU-Sanktionen gegen den Iran sieben EU-Parlamentarier nach Teheran gereist, um mit allem zu plaudern, was im Regime unterhalb von Präsident und Religiösem Führer Rang und Namen hat. Ja, die Reise wäre völlig legal gewesen – doch nicht alles, was erlaubt ist, ist auch opportun. Der einzige Gewinner wäre Teherans Regime gewesen, das seine Propagandablätter mit schönen Fotos vom Besuch der „hochrangigen EU-Delegation“ hätte zieren können. Von wegen isoliert! A four-member German parliamentary delegation has arrived in the Iranian capital of Tehran for a six-day visit, despite pressure from pro-Israeli groups to cancel the trip. The German delegation, that arrived in Tehran late Saturday, will hold talks with senior Iranian lawmakers, Secretary of Iran’s High Council for Human Rights Mohammad-Javad Larijani, Deputy Foreign Minister Mohammad-Mehdi Akhoundzadeh and Chairman of Iran’s Chamber of Commerce, Industries and Mines (ICCIM) Mohammad Nahavandian. The German parliamentarians are also scheduled to make a visit to the historical city of Isfahan in central Iran on Sunday. The visit by the German delegation came a day after Iran rejected a request by a European Parliament (EP) delegation to visit the country. The initiative led to at least two US-Iran meetings, the report said. Israel was made aware of the contacts, and opposed them. But Iran rebuffed the “diplomatic hand” offered by the White House, Maariv reported. The Islamist regime “opposed any sign of normalization with the US, and refused to grant a ‘prize’ to the Americans,” according to an anonymous Israeli source quoted by the paper. The information — the lead item on Maariv’s front page, headlined “Obama offered to renew relations with Iran” — comes on the heels of reports earlier this month that the US and Iran held back channel contacts toward establishing direct talks over Tehran’s nuclear program. Both the White House and Iran denied those reports. „The European parliamentary delegation has set a precondition for visiting Iran and will not accept this prerequisite as it runs counter to our policies,“ Senior Advisor of the Iranian parliament speaker Hossein Sheikhol-Eslam told FNA on Saturday. Sheikhol-Eslam did not say if the EU parliamentarians have cancelled the trip to Tehran, or not. Sheikhol-Eslam had announced on Monday that a 15-member delegation of European parliamentarians would arrive in Tehran on October 27 to pay a six-day visit to the country, adding that the visit would take place at the request of the European side. „Based on a proposal by the European Parliament for a visit to Tehran, they will travel to Tehran (for a visit) from October 27 to November 2,“ he said. Asked if the visit would take place at Iran’s initiative, the senior advisor indicated that the European side has requested the trip. Although the European Parliament has not declared details of the visit, sources told FNA that the European delegation will be headed by Mrs. Tarja Cronberg, the chairwoman of the European Parliament’s delegation for relations with the Islamic Republic of Iran. Israel has remained officially silent over Sudanese accusations that Jerusalem carried out an air strike on a weapons factory near Khartoum, but tellingly, Jerusalem has not taken the trouble to deny the allegations either. If Israeli fighter jets did fly 1,900 km. to the Sudanese capital to bomb a rocket factory, the move could represent a major blow to Iranian efforts to smuggle arms into Gaza, and contain a demonstrable threat to Tehran of what may occur if it continues to develop its nuclear weapons program. In 2008, defense ministers from Sudan and Iran signed a military cooperation pact and vowed to advance “defensive ties” between them. The two countries presented the move as a step to promote regional peace and stability. It likely had the exact opposite effect. The Yarmouk Complex of military plants near Khartoum, whicht was bombed five minutes after midnight Wednesday, Oct. 24, by four fighter-bombers, recently went into manufacturing Iranian ballistic surface-to-surface Shehab missiles under license from Tehran, debkafile’s military and intelligence sources disclose. Western intelligence sources have not revealed what types of Shehab were being turned out in Sudan but they believe the Yarmouk’s output was intended to serve as Tehran’s strategic reserve stock in case Iran’s ballistic arsenal was hit by Israeli bombers. The Israeli Air Force has a long record of pre-emptive attacks for destroying an enemy’s long-range missiles in the early stages of a conflict. In June 2006, for instance, the IAF destroyed 90 percent of Hizballah’s long-range missiles in the first hours of the Lebanon war. Videos of the explosions caused in the air raid over Sudan showed large quantities of phosphorus flares in the sky suggesting that a large stockpile was demolished along with the manufacturing equipment. Western sources did not divulge information about the comings and goings of Iranian missile specialists or whether the Bashir government had given Tehran permission to stage attacks from Sudan against Middle East targets, in return for the allotment of a number of missiles to the Sudanese army. All they would say is that the complex’s structures had been completely leveled by the aerial bombardment and subsequent fire. Gegen den Al-Quds Tag in Wien!